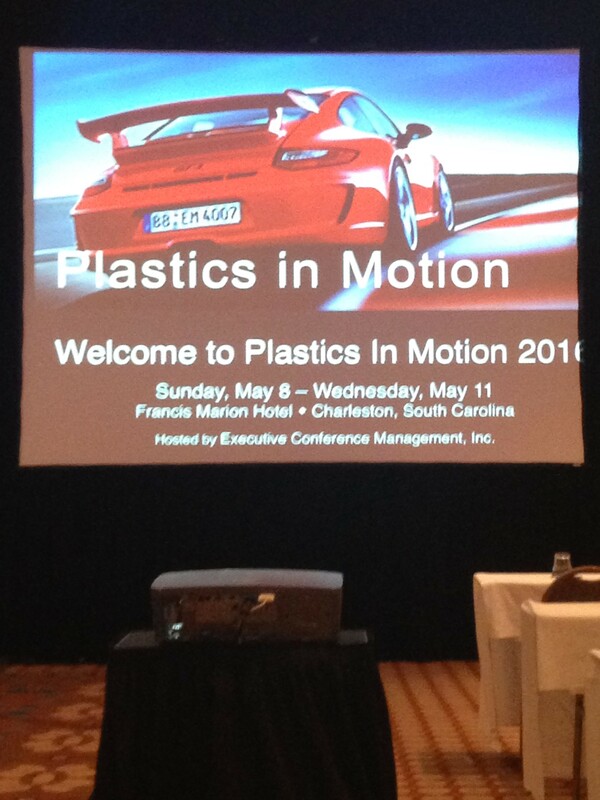 CEO, Doug Bathauer, attended the Plastics in Motion 2016 - Automotive Global Congress & Exhibit in Charleston, SC. The conference was well represented by engineers and executives from the automotive industry, Tier1, Tier2 and OEM. Several companies from the plastics industry were also in attendance. Doug was the opening speaker this morning for Session 6, Specialty Materials and Additives. He spoke about ElectriPlast's bipolar battery technology as well as the use of conductive for automotive shielding applications. He had the opportunity to speak with many of those in attendance that had questions for him after the presentation. Since the corporate move to Evansville, IN, the support from state and local officials has been tremendous. There is a focus here to grow and support industry, and business resources available in this area are abundant. Yesterday, a team from the Purdue University Technical Assistance Program were onsite in Evansville working with Integral on an ElectriPlast advanced manufacturing project. 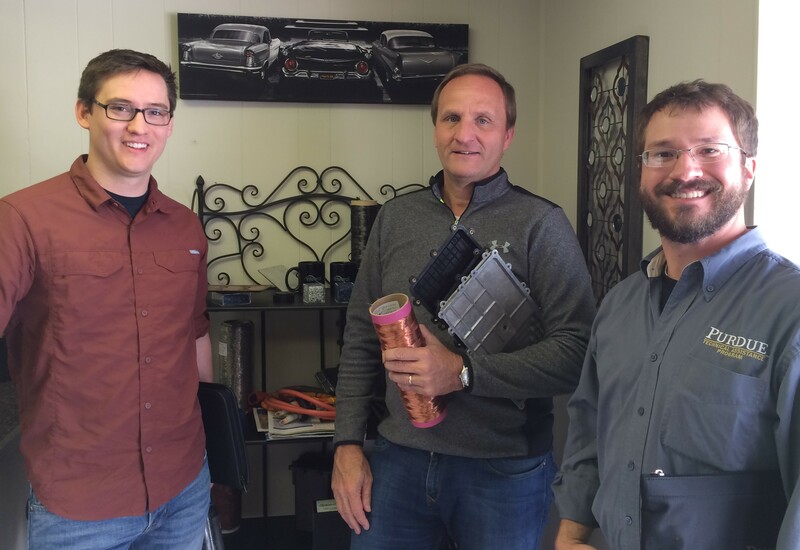 We first met with Advanced Battery Concepts (ABC) in June of last year. It was clear early on, that Ed Shaffer and his team's bi-polar battery was advanced beyond anyone else in the industry. With ABC, we produced our first prototype battery for The Battery Show in November of 2015. At the show, it was evident that ABC is recognized by the battery industry as the technological leader in lead acid bi-polar batteries. 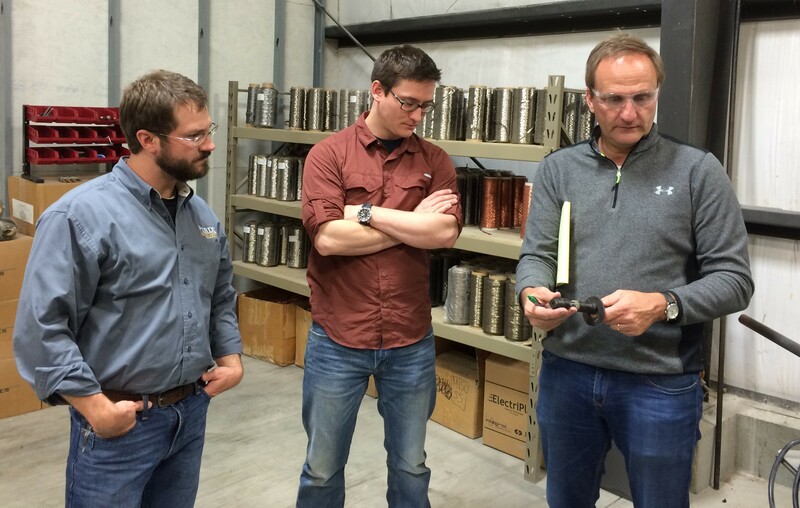 Over the last few months, we've had the opportunity to work with several of the North American battery companies. Because of ABC's advanced technology, manufacturing and testing capabilities, and personnel, it makes ABC an ideal company for us to be collaborating with at this point. We've been working on the details of the agreement for the past few months, and we should have the first batteries produced in a few weeks. Below are three videos that talk about ABC and their bi-polar technology. Welcome to the new home of Conductive. This blog format allows for more dynamic presentations of company news, events and industry developments. Conductive is now capable of displaying video content as well. Content will be added regularly, you’ll want to add this to your bookmarks and check back often.